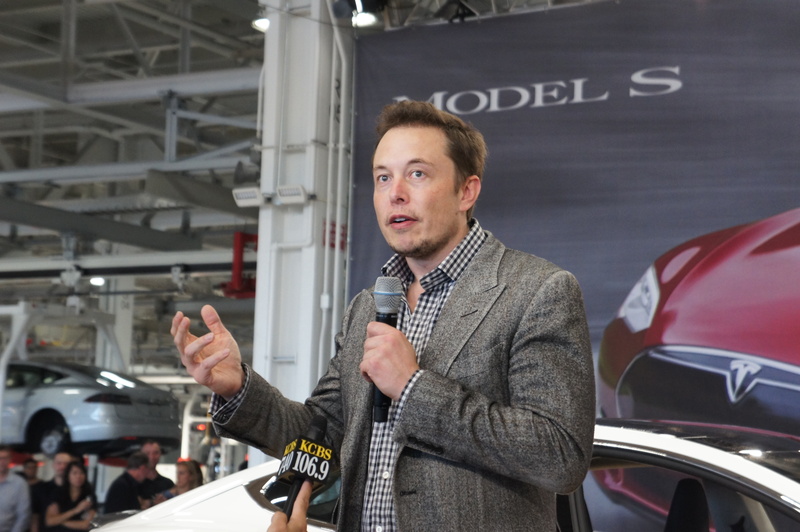 Tesla CEO Elon Musk plans to eat his own dog food. The entrepreneur said on Twitter that he’s been finalizing plans to embark on a six-day road trip across the U.S. — from Los Angeles to New York — in a Model S with his family. He says he can make the 3,200 mile journey with only nine hours spent charging the Model S, or 1.5 hours of charging a day. Ever since Tesla unveiled its plans a year ago to install Superchargers — Tesla’s own branded fast electric car chargers — across the U.S., Europe and Asia, the company has been pushing the idea that Model S owners can take extended road trips that aren’t normally associated with the short battery range of most electric cars. The Model S has among the world’s largest battery ranges for an EV, of up to 265 miles, and with the swift charging option, Tesla says its cars can operate more closely to the ease of the internal combustion car. As Tesla rolled out its Superchargers on the West Coast and East Coast, the company offered road trip test drives to various journalists. The most famous of these was a negative one from the New York Times, which Elon Musk attacked for being inaccurate and disingenuous. Model S owners, of course, have done these road trip drives, too, and the vast majority of Model S owners are fans that rave about their cars and driving them (not unlike Apple fanboys). Now that there are more Superchargers across the middle of the country, the Tesla cross country road trip is doable, too. Though remember the Superchargers are just for the Model S — not other electric cars — so these EV roadtrips are truly Tesla-style only. With Tesla owning the infrastructure for charging, too, it’s creating a vertical business model that could be hard to compete with — imagine the same company owning your car and the gas pump you use. With Musk taking this journey, he’s likely trying to show that the Tesla road trip is the real deal, and not something for early adopters and EV enthusiasts. Musk is also well-known for innovating with Tesla’s services to create an Apple-style cult customer experience. No doubt, traveling 3,200 miles in the Model S across country will give him some ideas for how to make the road trip experience better. The chargers he needs to do this trip do not appear to exist at this time. bit of a aggravation. I live in Florida where a famous race is located. The number of stations here is pathetic ( maybe a half dozen at most – the rest are private for the track ). A few miles west is a small town with at least a dozen sites to charge. And, if one makes the trip to Orlando there are nearly 100 places to charge my car. Fortunately we are talking Stage 2 stations with a fast charge capability but with mine I can charge with a normal house plug, which is considerably slower, but useable in a pinch. At present I am putting about 1,000 miles a month on mine and figure that it is costing me around the cost of a gallon of gas. I like that ! The car is quick and fun to drive as well. My next car will be electric as well ! Tesla “owning the gas pump” gives the implication that they are making money from these charging stations. They are not. In fact they are subsidizing them as most of them are in a leased space. Tesla’s short term interest is in making these stations plentiful and convenient. Electricity, unlike gasoline, is dirt cheap so there is little if any “profit” opportunity in the future. This later concept has been touched on before as restaurant and grouped retail establishments look to installing these stations (not just for Tesla) to attract “captive” consumers while they await their charge. Economic mobility has a lot to do with how much it costs a population to get around. With gas staying around 3.50$ a gallon, the mobility of the US population hasn’t been worse in decades. Simply moving to a new area can bankrupt someone in mere weeks, making a significant amount of Americans afraid to even move to look for new opportunity. 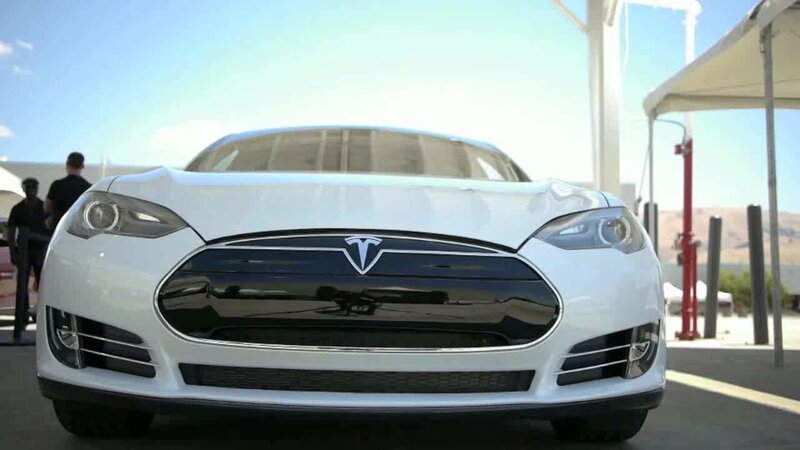 Tesla Motors is offering infinite mobility. This is something an ICE will NEVER be able to offer. I wouldn’t go that far. It would be difficult to move in a Model S and the electric cars still represent a very small fraction of cars on the road. Furthermore, if you own a Model S, the cost of moving is chump change to you. Even if Tesla made a truck, it isn’t going to be large enough to move someone, leaving them to rely on renting a U-Haul. And remember – the use of superchargers is FREE to Tesla Model S owners – cross country for ZERO $$ fuel charges.